We’re probably preaching to the choir here, but it’s in your best interest to go on a nice week-long vacation. You know it’s a good idea to take a pause from your responsibilities every now and then, getting away with a change of scenery. Not only can your trip do wonders for your mental health, but new research suggests it can create actual physiological changes that benefit your physical health as well. The study, which was conducted at the Icahn Institute for Genomics and Multiscale Biology at the School of Medicine at Mt. Sinai in New York, New York, found that just going on a relaxing getaway may improve immune function and reduce the effects of stress on the body.1 The subjects were 102 women between the ages of 30 and 60 who spent five days at the La Costa Resort and Spa in Carlsbad, California. Approximately half of the participants took part in a meditation and yoga retreat at the resort, while the other half simply enjoyed vacation time there. More than half of those assigned to the meditation and yoga version of the getaway were already meditating regularly, and the remainder of that group were randomly selected from the non-meditators. Blood samples were taken from every volunteer both before and after the vacation. In addition, on the last day of the trip, the subjects completed surveys asking whether they were experiencing any depression or stress, and how they would rate their vitality and mindfulness. These questionnaires were then repeated one month and 10 months after the vacation. Biomarkers related to aging and changes to gene expression were notably improved among all participants based on an analysis of the blood samples drawn just prior to the retreat and at its conclusion. So the newly meditating vacationers, the regularly meditating vacationers, and the non-meditating vacationers all received similar benefits in these areas in only five days. However, those who were frequent practitioners of meditation also exhibited greater telomerase activity, which is an enzyme that helps to restore and elongate the ends of chromosomes. Telomeres, repeating sequences of DNA at the edges of the chromosomes, begin to shorten as we get older due to cellular death. Plus, both the acts of vacationing and meditating appear to reduce our inflammation response, dialing down the body’s defenses that are often ratcheted up due to stress. What’s more, the mental health of the volunteers showed marked improvement too. The questionnaire responses of both the meditators and the vacationing only group indicated that they were experiencing fewer psychological difficulties and had achieved better overall wellbeing by the fifth and final day of the retreat. And a month later, these positive effects were still in place. The only difference appeared in the long term, when the subjects were once again questioned 10 months after the vacation. Those who had meditated were found to have a more substantial dip in stress and depression at that point compared to their peers who had simply relaxed for a few days. The investigation was limited by the small number of participants included, as well as the fact that it only focused on women. Yet despite that, the results are valuable to all of us because they not only demonstrate the benefits both physical and mental of meditation, but also the value of just allowing ourselves a few days of vacation enjoyment. That’s why, no matter how busy it gets at work or with various commitments, it is essential to take off and get away. Not a staycation, in which you’re still dealing with some of your typical responsibilities, but a true vacation that lets you forget your “real life” for a little while. The findings showed that only five days was enough to do the trick and even have a resonating effect afterward. And if you’re looking to carry that over to a truly long-term benefit, consider adding meditation to your daily routine. 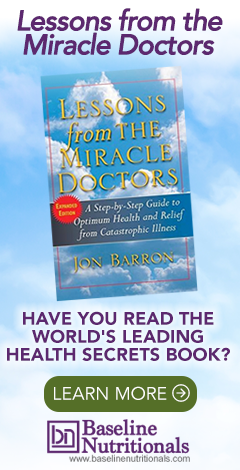 There is a reason Jon Barron has been recommending daily meditation to his readers for the last three decades. And this is hardly the first research that has suggested its benefits include better health outcomes. A 2013 study at the University of Wisconsin-Madison showed that mindfulness meditation can create positive molecular changes in the body.2 As part of your healthy approach to life, don’t hesitate to carve out some time for yourself in the form of not only daily exercise, but also relaxation techniques such as meditation and certainly some well-earned time away. Both your body and mind will thank you. 1. Epel, ES; et al. "Meditation and vacation effects have an impact on disease-associated molecular phenotypes." Translational Psychiatry. 30 August 2016. Accessed 3 October 2016. http://www.nature.com/tp/journal/v6/n8/full/tp2016164a.html. 2. Kaliman, Perla; et al. "Rapid changes in histone deacetylases and inflammatory gene expression in expert meditators." Psychoneuroendocrinology. February 2014. Accessed 4 October 2016. http://www.psyneuen-journal.com/article/S0306-4530(13)00407-1/abstract. I also have a plan to Miami to enjoy some time with my whole family in coming holidays. I am so happy for it. I hope so that it will be a really great time for us and we will come back with smiley faces. I also spent a really good time there during my last summer holidays and came back with a lot of pleasant memories. I have a plan to explore the NYC for enjoying the vacations. Because according to my point of view, this destination is best place for enjoying the vacations.